The UP Philippines-Japan Friendship club, also known as UP Tomo-Kai, will be holding its 28th Anniversary Month Celebration this April 2019. With a new branding of Iro no Kyoui, meaning Wonders of Color, we are excited to show you a new color of UP Tomo-Kai each year starting with this year’s anniversary month. This year’s theme Kaihou, which means liberation, release or setting free- aims to empower the audience through different activities and performances showing our appreciation of the uniqueness of two countries. Open your mind to the cultures of the Filipino and the Japanese in the upcoming event of Mulat: An Interactive Exhibit, at PH 400 on April 12. Be aware and break free from the chains that are binding you at Tanikala: A Photo-Haiku Exhibit, on April 10-12 at the AS covered walk. This event brought to you by UP Diliman's premier Philippines-Japan cultural organization, UP Tomo-Kai. photos and their haiku descriptions. Amphitheatre.Watch local performing artists, experience Japanese and Filipino culture and express your freedom in this cultural event. 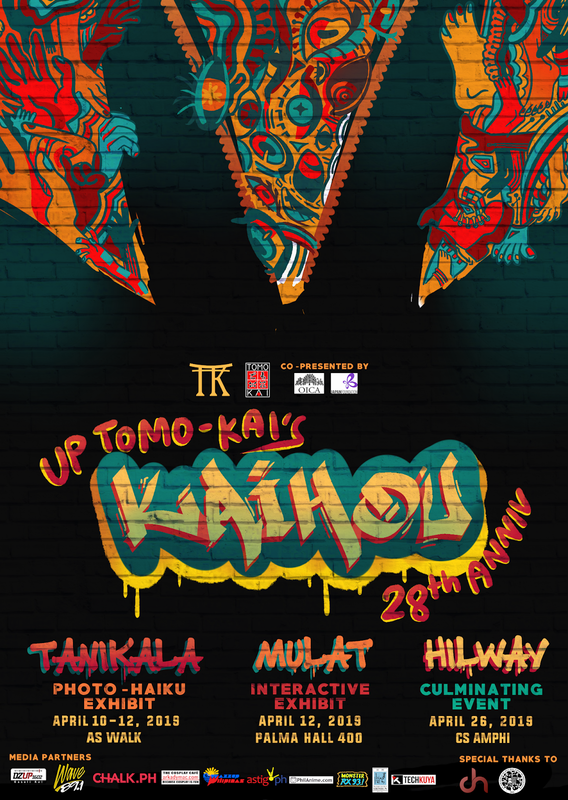 This caps off UP Tomo-Kai's 28th Anniversary Month and aims to liberate your hearts and minds by understanding the diversity of cultures.